Take Cover has put up preorder options on their Big Cartel web store. Be sure to order your copy of The Dreamer and The Realist quick! The Story Changes are currently streaming their entire new EP, entitled This Is Your Moment, by clicking over to AOL Music. Tell UTG what you think of the EP after you take it for a spin. The artist who simply goes by the name The Weeknd has quietly released released an acoustic album (yesterday). It can be heard by clicking on his Facebook. UTG has a preview of great things to come by clicking play below. Listen to “Rolling Stone” and tell us your thoughts. Karen Civil is currently premiering a very interesting new track from Lil Wayne entitled “How To Love.” Taking a step away from anthems and beats so heavy your skull could crack, this song finds Weezy mainly accompanied by acoustic guitar. Click here to check it out. Watch TesseracT performing an acoustic set for Metal Injection by simply looking below. You heard it right, XXL is currently streaming new song from Asher Roth, featuring Akon, called “Last Man Standing.” Listen to the full version of this song by clicking right here. Tell UTG what you think of it by sounding off in the comments section. 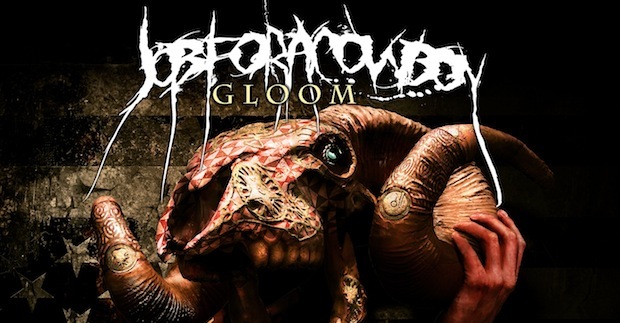 If somehow you like some death metal but have never heard Job For A Cowboy, Gloom is a perfect starting point as it is certainly the band’s best work to date. One of the best EPs I’ve heard in quite some time, it comes with the utmost recommendation I can give a four song EP. Relient K posted a studio update from recording their new cover record. Check it out below. Studio Update | Cover Song Sessions from Relient K on Vimeo.